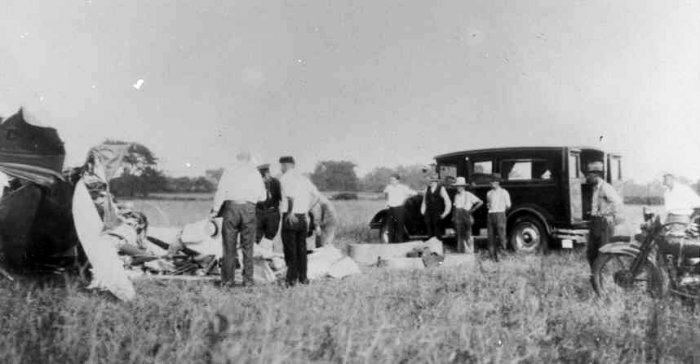 An early crash at Hadley Field. The plane, made of wood and canvas is a total loss. The black station wagon in the background may be a hearse.